Sage Carrigan never meant to be the other woman. Unfortunately, bronco rider Dawson O’Dell neglected to mention he was married the night he invited her to his bed after they’d both placed first in their rodeo events. When his wife walked in on them – Sage was deeply hurt and humiliated. 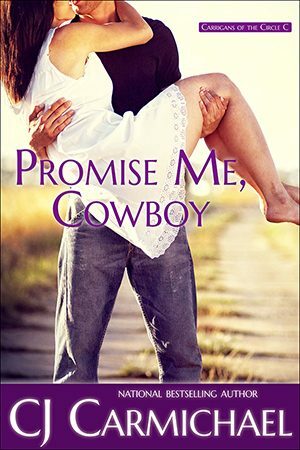 After an accident in the ring the next day, Sage decides she’s quitting the rodeo–and cowboys—to become a chocolatier in her hometown ranching community, Marietta, Montana. She’s doing just fine, but then Dawson shows up —five years later, with a little girl in tow. He’s here for the Copper Mountain Rodeo hoping to win big. But he’s also got plans of settling down with his daughter and buying a house—the very same one that Sage has been dreaming about. He says he’s here for her and he’s making lots of promises. But can he keep them? Is it possible for one weekend to change your life? Yes. And that’s exactly what happens when the Copper Mountain Rodeo comes to Marietta Montana this year. I had a lot of fun packing this story with some of my very favorite things. Like gorgeous mountain scenery. Characters to root for, and characters to drive you crazy. And chocolate! Sage, who owns Copper Mountain Chocolate, creates all her products from scratch . I’d always wondered how to make chocolate and what my research told me was—it isn’t easy. Thank goodness there are so many wonderful chocolatiers who are willing to do all that hard work for us! The Carrigans Of The Circle C, please look for: Good Together, Close To Her Heart, Snowbound in Montana and A Cowgirl's Christmas. 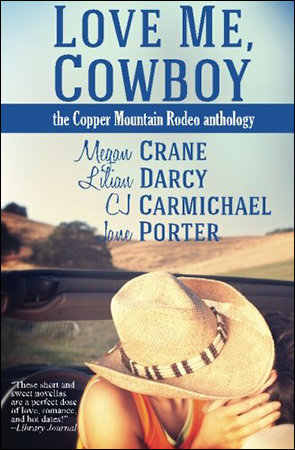 Don't miss the other books in the Copper Mountain Rodeo series: Tempt Me, Cowboy by Megan Crane, Marry Me, Cowboy by Lilian Darcy and Take Me, Cowboy by Jane Porter. All four of these stories are available in trade paperback form in the anthology Love Me, Cowboy. Less than twenty-four hours after she crashed on that second barrel, her father had shown up in Casper, Wyoming and had whisked her home. But there hadbeen time for Dawson to reach her. If he’d wanted to.